ST. LANDRY PARISH, LA (WAFB) - We’re learning more about the man police say set fire to three historically black churches in St. Landry Parish. The arrest is certainly helping that community rest a bit easier now, but many wonder if his charges really reflect the seriousness of the alleged crime. The short answer is much more serious charges are likely on the way. A big deal was made Thursday about the music this suspect reportedly listened to. But does that even matter? A local attorney helps break down this case. One by one, state and local leaders condemned the church burning incidents allegedly committed by Holden Matthews, 21. They also praised the community for standing strong in the face of evil. “A lot of people want to make it a hate thing, but we don’t represent hate. We represent love,” said Gerald Toussaint, pastor at Mt. Pleasant Baptist Church, one of the churches burned. But in the eyes of the law, it’s hate that federal prosecutors will now consider. So far, Matthews faces three charges of simple arson of a religious building. Baton Rouge attorney, Franz Borghardt, says the FBI will likely drop the hammer. “The federal charges are going to be extremely serious. He could theoretically be charged with some kind of domestic terrorism. There are federal statutes that are hate crime in nature, so this young man has a long road ahead of him,” Borghardt said. 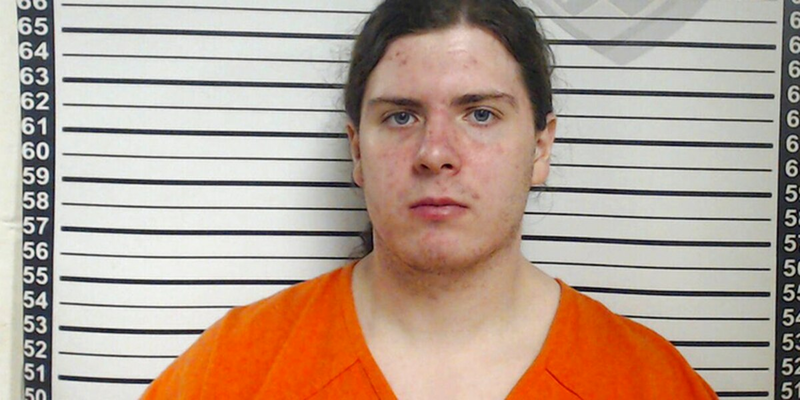 As they look for a motive, investigators say Matthews is involved with a type of music called “black metal.” But only one band in particular is linked to other church burning incidents. Borghardt says that association does not prove much. “In litigation in the past about certain types of music and whether or not that creates a culture that is correlated with the crime, we’ve seen that in rap music, so it may not even be necessary. Using that he listened to that music, while again it incenses our conscious, it gets us angry, it may not be something that is necessary in the prosecution,” Borghardt said. And while the case is just beginning, many of the victims have already moved on, condemning hate in all forms. “We supposed to love everybody," said Roscoe Mallet, a member at St. Mary Baptist Church in Port Barre, another of the churches burned. "If you can’t love him, don’t hate him. Don’t hate him,” said Letha Hardy, another parishioner at St. Mary. These church members are choosing to forgive, hoping the suspect eventually comes around to their way of thinking. “He didn’t stick God in there, but I’m gonna’ stick God to him. I’ma pray for him, from my heart, I’ma pray for him,” said Hardy.